Ivan Baxter, a researcher at the Donald Danforth Plant Science Center, and Liz Haswell, a biology professor at Washington University, started a podcast called Taproot last summer to talk about the challenges of doing research. Researchers Liz Haswell and Ivan Baxter spend most their time trying to understand how plants function. But the two plant scientists sometimes step away from their microscopes and specimens to have honest conversations with their colleagues about the challenges of doing research. They recorded these dialogues into a podcast called Taproot, to represent how they’re digging for stories beyond what’s in a scientific publication. For each episode in Taproot’s first season, Haswell, a biologist at Washington University, and Baxter, a researcher at the Donald Danforth Plant Science Center, would pick a study and have a conversation about one of its authors about the difficulties involved in doing research. The issues ranged from finding work-life balance as a scientist to embracing the fact that a researcher may never achieve total certainty in what they are studying. The content, funded by the American Society of Plant Biologists, can be a bit inside baseball for a general audience, but it’s picking up in popularity among plant researchers. Haswell and Baxter want to explore deeper, more challenging topics in their second season. St. Louis Public Radio’s Eli Chen spoke with both of them to understand why they wanted to devote their podcast to the untold experiences in doing plant research. 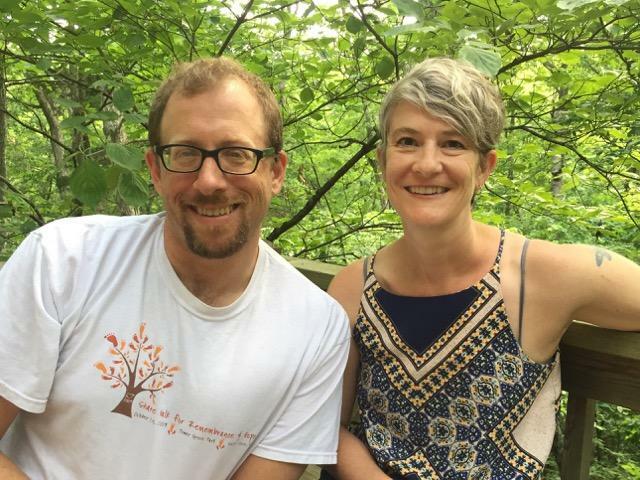 St. Louis Public Radio's Eli Chen speaks with plant scientists Liz Haswell and Ivan Baxter about why they wanted to create a podcast about the challenges of doing research. Liz Haswell: One of the really important lessons we wanted to convey to young people in plant biology is that if you’re struggling that doesn't mean you're not meant to be a scientist. When you look at a published manuscript, you have a set of figures that all seem to flow together in a logical progression. And there's no reference to who did which experiment or how it was funded or all the troubleshooting and all the figures that didn't make it into the paper and who came up with the idea originally and how a team worked together. All of those stories are part of the manuscript but they're not really there. Eli Chen: Some of the guests that you have on your podcast talk about issues like the pressure of publishing papers and also just the struggle behind trying to make new discoveries. Tell me why you think it's important to discuss these issues and whether or not you think you know the plant science community is welcoming of that sort of discussion. Ivan Baxter: I think the plant science community and the science community in general is very open to that and we've gotten a lot of good feedback about this. There's a lot of interest in our community and how do we train our scientists better to actually be successful in the real world. But many of us are not trained to do that kind of mentoring. LH: And where else do you get those stories, right? Like where else do you hear how hard it was for somebody to develop some new technology? You only hear about the technology when you see it in a paper or you see somebody talking about it. So one thing that students have said is [that] they feel like they're eavesdropping on [prinicipal investigators] talking in a bar. And that's definitely what we want, for them to get the sense that they're getting inside information. Do you think that having these open conversations about what's going on behind the science would encourage more people to get into plant science? LH: Yes, so diversity is definitely the goal here. We want at the very end to have a super diverse workforce that has all kinds of different types of people. We need to make room for mistakes and dips and productivity and all those things that come with living a normal life. What's in store for season 2? I know that's in the works. IB: We want to focus on some of those things that might actually be forcing people out of science and how people have addressed those. We're hoping to touch on things like the pressure to move to different cities for science, dealing with mental health, trying to fit in in a culture that's not your own. Do either of you have a personal story related to those themes that you want to explore in Season 2? LH: Oh no, it's not about me or Ivan. It’s purposefully not about us. IB: I mean, I think that's not quite true. I think we both struggled with integrating family and work. So for me it was more about temporary life [disruptions]. You know, [my wife and I] lost a child when I was a postdoc and trying to function at all as well as functioning as a scientist was really hard for almost a year. I wonder if hearing about these stories will help people feel like they're not as alone as they're trying to do the work that they're doing. LH: That's very much our dream. That's absolutely what we're hoping for.